A little pretty never hurt anybody. 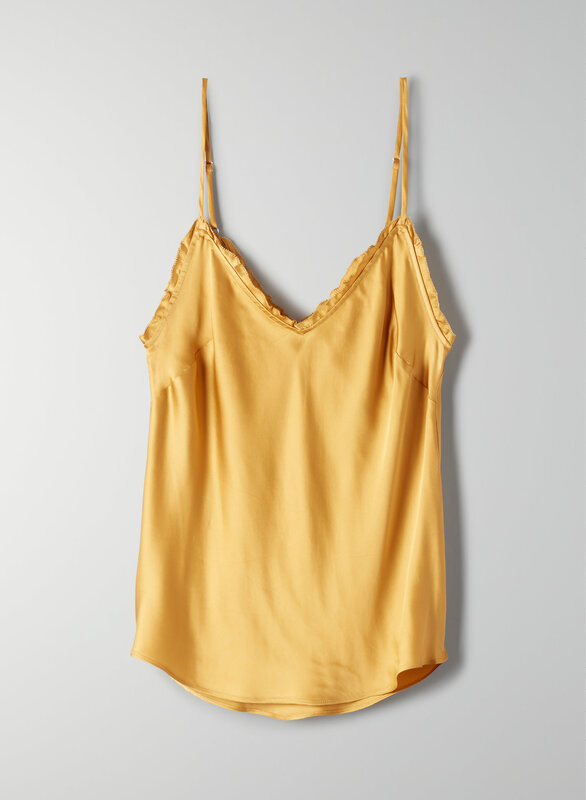 This camisole is made from a lustrous Japanese fabric that drapes nicely. It has adjustable straps and a ruffled neckline.